You don’t have to own a drone in order to enjoy the aerial benefits of one. You can simply hire a drone pilot instead. Whether you book through a company or decide on a freelance pilot, hiring a drone can give you the opportunity to capture video footage and photo stills that a regular photographer never could. For a family day at the park, a wedding, or your grandparent’s anniversary, recording it from a drone’s point of view could amplify those memories by a hundredfold. Before making the decision to hire a drone for that special occasion, consider some of the tips we’ve outlined here. Set your expectations of the final product to be in line with the capability of the drone you plan to hire. The smaller your budget is, the lower the quality will be of the photos and video. If you can increase your budget, you’ll have access to more sophisticated drones. Hiring a professional drone pilot is much different than asking your neighbor to record some video for you on his quadcopter he occasionally flies on the weekends. You may be able to save a few bucks, but the results can differ drastically. So know what you’re paying for. Sometimes the pilot will include some post production services, otherwise known as photo shopping, in his price. Don’t assume that it’s part of the package. If it’s not, it may be worth it to get it. A little touchup to fix a blemish or blinking eyes can make the difference between an OK photo and a great one. Videos can also require a little work. Editing, cutting, and enhancing can be well worth the extra money spent. If your photographer does not include post production work or you already have some footage that you would like editing to a professional standard www.dreamitreel.com offer a great service. They use expert video editors cut footage, add music (if required) and generally enhance standard in to something more special. Good drone pilots book up very quickly. If your event has a date that is absolutely set in stone, hire your pilot as far in advance as possible. Confirm it a couple of times as your date draws nearer to make sure you’re still on the books. Things fall through the cracks sometimes, and you don’t want to be accidently double booked. But if you have the flexibility to play with the event date, discuss that option with the pilot. He will suggest certain times of the day to take a particular set of pictures due to lighting and other factors like wind. The beach at sunrise will have less wind than at noon, for example. Less wind means the camera will shake less during flight, resulting in better footage. Having a Plan B is good practice. If the weather is a bit iffy, you may want to reschedule to an alternative date. A birthday party could be switched to the next day if there’s a thunderstorm coming the morning of. Pilots would rather work around the inclement weather than to chance losing their drone in a wind storm or having a customer who’s unhappy with a video of their guests being soaked by rain. Take a look at what a drone can actually do before you hire one. Get at least a basic idea of the types of shots and angles you would like the pilot to capture. You don’t want to look back and think that a different angle would have captured this or that so much better. You don’t have to nail down every single angle that you want prior to hiring a drone. But it’s good to have a clear idea about it. Ask yourself some questions first. Do you want some close-ups? Which part of the event should have an aerial view? Should there be an eye-level group shot? Shooting a family vacation may not require the same type of high definition quality that a marketing video for your new business will. And it will require different angles, lighting, and drone manuevers. Think about the clarity and professionalism that you’re looking for before hiring a drone. It will make things easier in the long run. Before hiring a drone, check if it’s even allowed to be in that particular area. Drones are prohibited in some areas, such as near military installations or public parks. Written permission may need to be obtained before the pilot can even start the engine. Getting written authorization to fly the drone in a particular airspace can take time. Inquiring weeks, maybe even a month or two, might be required in order to get it in time. Check your local regulations ahead of time. Sometimes it’s as easy as calling the local courthouse. Sometimes it’s not. It’s better to move the location of the event so you can hire the drone to capture that fabulous footage you’re dreaming of than to commence that special occasion with no way to memorialize it. Ask the pilot, too. As an avid flyer, he should be familiar with the area. He should know where his drone is, and is not, allowed to fly. There are a lot of drones on the market with a large range of capabilities. A large number of them are equipped with photo and video capability. Hiring a drone that fits into your budget shouldn’t be a problem. Just know that if you want a high quality photo, it will require a higher grade drone. Good pictures and videos require a good camera. The quality of the camera increases the price of the drone. 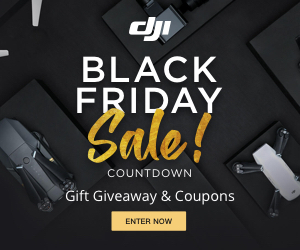 Most drone-owners-for-hire will probably have a DJI Phantom in their inventory because it handles well and takes exceptional stills and video. But if you want supreme, ultra-high quality that would make Hollywood jealous, it will raise the price significantly. The DJI Inspire 1 utilizes two pilots – one to fly the drone, one to be the photographer. With two pilots, each can focus on their perspective tasks which results in some of the best videography and photography on the internet. This is a rather costly drone, but the camera results are superb. Every professional drone pilot is required by law to be Civil Aviation Safety Authority (CASA) certified in order to conduct business with the public. If he does not have an Unmanned Operators Certificate (UOC), then it is illegal for him to accept money for providing drone services. Hiring a drone comes with a bit of responsibly. They can fly very fast and weigh quite a bit. If a drone crashes into someone, it can result in serious bodily injury. The drone pilot that you hire should have a current public liability insurance policy to protect him (and you) from any potential lawsuits in case of an accident. Every pilot that has a drone for hire should have a portfolio of some kind, even if they are just breaking into the business. Piloting any type of quadcopter takes some skill. Ask to see examples of his prior work – video and photo stills. Request some references and actually call them. He should be able to provide customer feedback that proves he is worth hiring. There’s a big difference between a professional and a non-professional pilot. Think about the type of quality you want in the video and photos. If simple footage is what you want, then the expense of a professional won’t be worth it. But if you want to hire a drone with a pilot who can give you some magnificent results, get a pro. Nothing else can provide aerial videography the way a drone can. The eye in the sky view point is like no other. Having the same type of videos and pictures as everyone else is boring. Hiring a drone that can provide memories that will make you oooohh and aaaaahh years later is priceless. Following these tips before you decide to hire a drone could save you time, money, and make that special day absolutely unforgettable. That makes a lot of sense that different ventures require different angles and quality. If you’re with the family just documenting the time is good enough; Marketing vids require higher fidelity. I want some aerial shots for my wedding pics/vids, so I’m talking to my wife about hiring a drone.